402 Coshocton Ave. Mount Vernon. Want a Business Location? Want a Home? Want Both? You could live upstairs and have business below during the day... 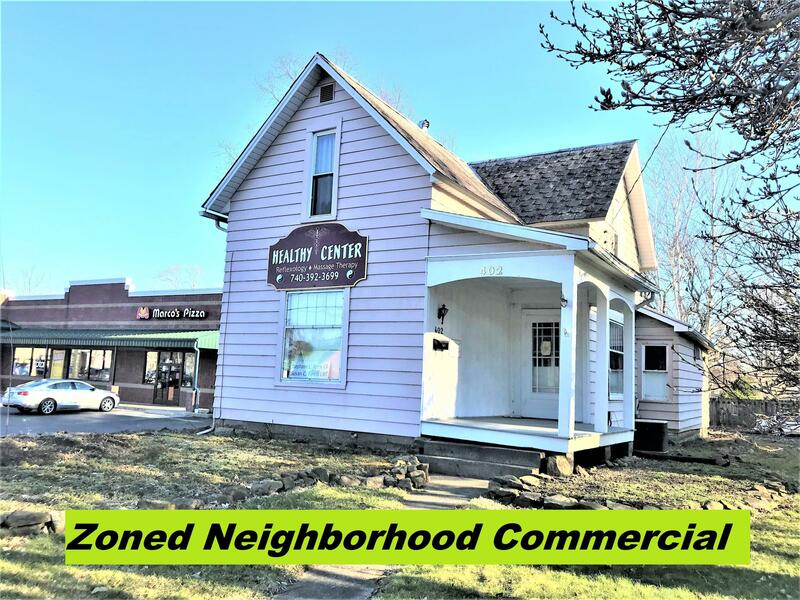 Neighborhood commercial property located in high traffic area, ideal location for business! Has been a Massage and Wellness business for 18 years. (Business and equipment could convey). Could be used as office, beauty shop, etc. Has newer furnace and central air, updated electric, 2 Car Garage and 7 space blacktop parking in rear of building. First floor bath has shower and half bath on second level (that could be converted back to a full bath). High Traffic Area, next to Marcos Pizza and Family Time Video. Captured audience staring at your business while at stop light.